We are very excited to announce our Veterinary Online Department Store with hundreds of great items for your pets. Find remedies online to help your dog stay playful and keep your cat healthy, or order online natural cat and dog food and treats! Browse also Export Portal's wide range of bird and farm animal products available. 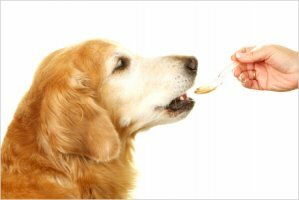 Export Portal Veterinary pharmacy is the home to all your dog prescription, high quality dog medications, flea control, accessories and pet care product needs. Make sure to check out all leading brands that include Frontline Plus, Advantage II, K9 Advantix II, Greenies and Heartgard, Dasuquin and more. And that's not all. We also have a great range of farm animal meds and cattle supplies at great prices to keep your animals healthy. Buy online horse products, farm animal health products, medications and antibiotics. Ordering online medication for pets and farm animals with Export Portal is easy, affordable and safe.